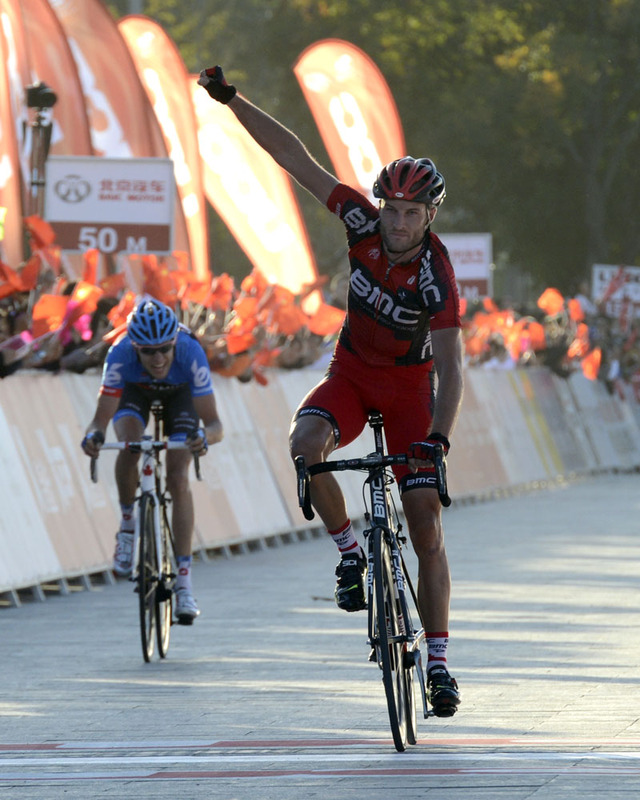 Steve Cummings (BMC Racing) won the final stage of the 2012 Tour of Beijing on Saturday, out-sprinting fellow escapee Ryder Hesjedal (Garmin-Sharp) to take the win. Briton Cummings and Canadian Hesjedal had been part of a larger escape group that had splintered on the final categorised climb of the day, the five kilometre ascent of Si Zuo Lou. The duo then maintained a blistering pace on the descent and run-in to the finish in Ping Gu to distance the remnants of the bunch. Edvald Boasson Hagen (Sky) led the chasers home for third to secure the points classification. German Tony Martin (Omega Pharma-QuickStep) successfully defended the overall win from last year, topping the general classification ahead of Italian Francesco Gavazzi (Astana). Boasson Hagen moved up to third overall. Irishman Daniel Martin (Garmin-Sharp) clinched the King of the Mountains title, and fourth overall. After an injury-blighted opening part of the season, Cummings has certainly come good in the past two months having also won a stage of the Vuelta a Espana. His win brings the curtain down on the 2012 UCI WorldTour calendar and it’s a fitting end to what has been British cyclists’ most successful season in the history of the sport.